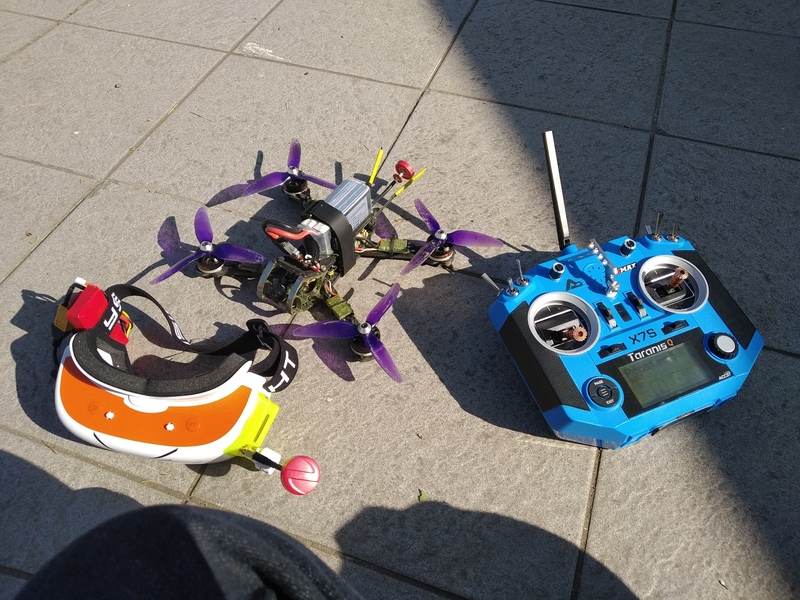 I also bought fpv goggles , a new transmitter, a new 3d printer, a bucket of props and i opend a youtube channel with a very italian name , so i can put all my raw video in there. Nice kit to start the season with. Lookin forward to more. You plan to do freestyle or race or a little of both? I make my own flags first few with wooden dowel and fabric from walmart. Next few were from fiberglass replacement tent poles. Finally I made a few gates out of half inch pvp water pipe and fittings. I will probably made my on gate , square shaped, they will be probably attached up in the air on the trees XD, that's because i don't have much space in the garden, but i can made/think a multi-layer track in there. Haha evidently you have not seen my crappy videos. MANY crashes are in them. This is latest one. I will be out again doing it all tomorrow. I've bought a new pair of goggles , i would like to ask, does anyone know how to record the video output from the goggles? The page you linked says the 4 way button on the left side ( when worn) is for dvr controls. There is also a downloadable pdf manual that will have detailed instructions.